Apple orange pacifier clip. 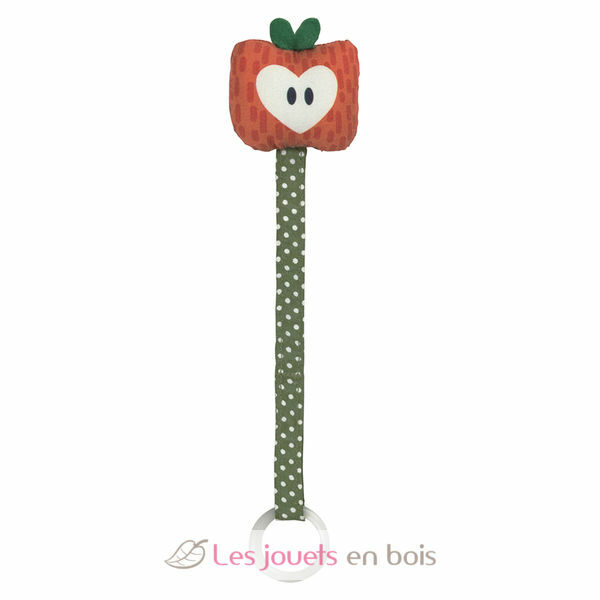 Apple orange soother holder made by Franck and Fischer. Clip on the blouse to keep soother from falling on the ground. For pacifier with or without ring. For pacifiers with ring: cut off rubber ring or place it around the part where ring is fastened. Made of 100% cotton. Item number 1501-5102.